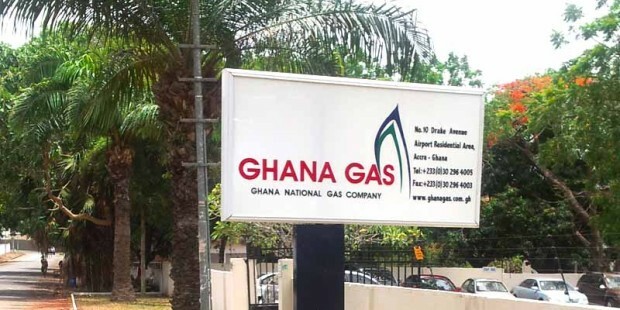 Ghana is working on commissioning a subsurface to facility study of the entire natural gas demand and supply chain; to fully evaluate the country’s gas reserves, get a hang of the pricing template and the processes required to optimally deliver gas to power plants and other domestic users. The project is being promoted by the Volta River Authority, the main generator and supplier of electricity in Ghana. The country has always said it will not export a molecule of its gas. But the gas projects it is currently carrying out are ad-hoc, not based on a whole sale national study of needs, supply and availability. Consumption of cooking gas (LPG) in Nigeria has exceeded 150,000 metric tonnes per year(MMTPA), more than doubling the demand five years ago. In 2008, the national yearly demand was less than 60,000 MMTPA, according to the Nigerian Liquefied Natural Gas(NLNG), the country’s largest provider of the product. A raft of intense publicity of the value of cooking gas over kerosene and firewood, as well as projects aimed at enhancing the supply of the product, have clearly led to the demand shift. Some of the entities who have been part of the campaign are Oando, the integrated energy company and the Lagos State Government. Gas Company says no award yet for LPG Plant. 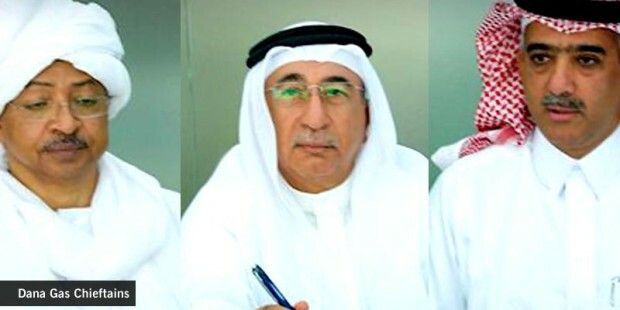 Dana Gas PJSC says it has made $ 7.7 million revenue in on its Egyptian Bahrain Gas Derivatives Company “EBGDCo” Natural Gas Liquids (NGL) extraction plant at Ras Shukheir, Egypt. The company has used $2.8MM, or 36% of the money, to repay the first instalment of the project’s development financing. 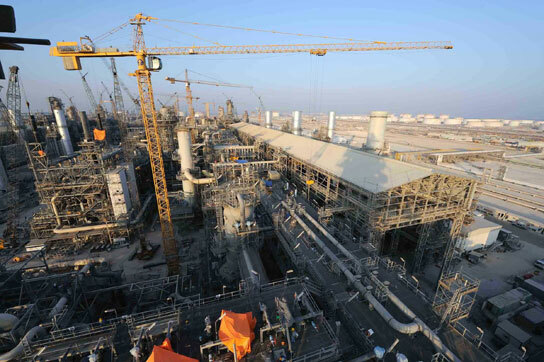 NGLs extracted at Ras Shukheir are exported to international customers. Egypt has a problem that’s rare among high volume African gas producers. It has created so much incentive for domestic gas use that, affected by its own success, it has headed on a slippery road to natural gas import. In spite of holding close to 80Trillion cubic feet of gas reserves, the fourth largest store on the continent, Egypt, by most recent accounts, is so desperate for gas supplies that it already sees itself as a gas importer. Just yesterday(November 22, 2012), Cairo based Citadel Capital, said it had signed an agreement with Qatari investors to import liquefied natural gas into North Africa’s largest economy. The agreement is happening two weeks after the Egyptian government itself declared that it would allow liquefied natural gas imports after gas shortages contributed to countrywide power cuts. On a government to government level, the Ministry of Petroleum and Natural Resources has concluded a deal with Algeria to import approximately 500 million cubic feet of gas daily from Algeria, starting in May 2013. The details of these transactions are still quite sketchy. For one, the Citadel statement didn’t indicate any regasification plans. And with regards to the import from Algeria, it wasn’t immediately clear whether this needed a pipeline construction or if there was already a transport route. Egypt approached Algeria for import to meet its own export contractual agreements amidst a rise in domestic demand. Gas to Power, Industrial consumption, motor vehicles using gas as well as household usage were responsible for consumption of1.65 Trillion standard cubic feet of gas around the country in 2010/2011 year, according to EGAS, the state gas company. It is expected to rise. Currently, Egypt has three liquefied natural gas (LNG) plants and a pipeline to export gas. The LNG Plants include Segas LNG Train 1 in Damietta and Egypt LNG trains 1 and 2 in Idku. Their combined export capacity is close to 600Bcf a year. But in 2010, as domestic demand increased, LNG exports fell to about 354bcf, which was down by 30% from almost 500bcf in 2009. The government has been using some of the gas destined for exportation to the local market to bridge the energy deficit, which resulted in rolling blackouts in second and third quarters of 2012. Shell’s equity gas production all over the world will surpass its net oil output by the end of 2012. It is official. “Globally, Shell is focusing more on gas”, says Ubaka Emelumadu, Vice President Gas, Sub-Saharan Africa Shell Upstream International. Shell is increasing its gas output in places as far flung from one another as Qatar, The Netherlands, Australia, Russia and Nigeria. Tanzania has shifted its 4th offshore licensing round further by a few months to allow its parliament enough time to ratify the Natural Gas Policy and Gas Utilization Master Plan. The sale of nine blocks was to have been launched in the first week of September 2012, but the Tanzanian Ministry of Energy & Minerals has called for the delay until the parliamentary session in October 2012, when the government will be presented with the instruments. The move will allow the policy to be ratified before the start of the new roadshow schedule, which is anticipated to start again soon after the Parliamentary ratification. The gas policy and gas utilization master plan have to be backed up by a Gas Act. 18 companies are working in Tanzania with 26 gas exploration licenses, exploring gas in the country as well as off the country’s coast. ION GeoVentures, the consultant to the Tanzanian government on the bid round, says that the bid round data package will be available for review and purchase by September-end. “Investors will get more time period to evaluate the technical data and assess the prospects of the nine blocks on offer”, the company explains. The notion of a system of pipelines delivering methane from “rich” countries to “poorer” neighbours is passé. A decade ago, there was much heady talk of a Pan African Gas Grid. The notion was of a series of gas lines, feeding off main lines, to deliver gas from hydrocarbon rich parts of the continent to hydrocarbon starved towns and villages. There were conference deliberations of a system of cross-border gas lines diverted and integrated into national gas grids, giving access to several gas sources and allowing market security and flexibility to develop through storage and swaps of volumes between nations. The idea started to gel as the 895km Mozambique-South African gas pipeline moved into commissioning phase in 2002 a year before the West African Gas Pipeline Implementation Agreement was signed at a ground breaking ceremony in Sekondi, Ghana. The 672km line running from Nigeria through Benin, to Togo and terminating in Ghana, was to deliver Nigerian gas to the “energy-starved” countries along the route. Around the same time, the earliest conversations about a 4,000km trans Saharan gas pipeline, taking Nigerian gas across the desert through Niger to Algeria, were being tabled. So much promise. Nigeria and Cameroon agreed to export more than 800million standard cubic feet per day of gas to Equatorial Guinean through pipelines from either country (although this was less for domestic purposes than for boosting EquatoGuinean plans for a second LNG project). In Namibia, south west of the continent, arrangements were being made to pipe gas from the 1.5Tcf the Kudu gas field to South Africa, where it would feed thermoelectric plants meant to power both Cape Town in South Africa and power-starved Namibia. The Moz-SA line having been commissioned and the WAGP already under construction, commentators were touting these two as representing the building blocks of a continental grid that could assure availability of gas to resource poor countries and lift the industrial capacity of those who inhabit the continent. Whereas most of WAGP’s 140MMscf/d gas is destined for power plants in Ghana, Benin and Togo, replacing other fuels and reducing costs and emissions, the fact of its availability would open doors to other investment possibilities, we heard. Investors actually sat down and took notice. Anglogold Ashanti, the huge gold miner, hinted of replacing fuel for its plants with gas from WAGP. 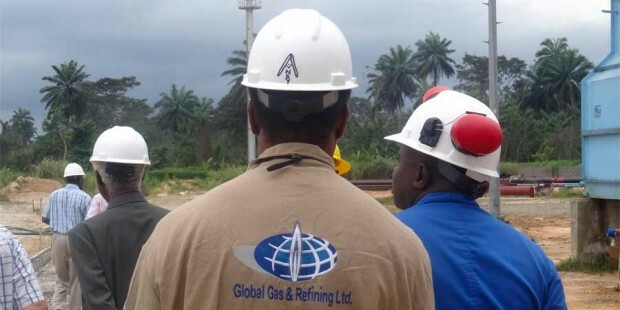 Gaslink, the Nigerian independent gas supplier, said it wanted to tap from WAGP gas and deliver, through spur lines, to companies and industries in Ghana, Benin and Togo. Much of that conversation has been scuttled. Today, with epileptic supply of gas from WAGP, ranking Ghanaian officials are openly wondering why they bought into the project in the first place. Togo and Benin, where the demand is weaker, have remained silenced with the disappointment. Nigeria, the source of the gas, is battling internal challenges of gas supply to its own growing domestic power capability and Shell, a major supplier of the gas for the pipeline, hasn’t lived up to its billing as a supplier of good quality pipeline gas. The power plants to be built in Ghana, as far as the Ghanaian Gas Masterplan is concerned, are looking more to gas supplies from the Jubilee field, a resource that was discovered four years after the WAGP Implementation agreement was signed. And as for thousands of jobs that were meant to be created in the event of the take off of the pipeline, what you have are angry Ghanaian commentators demanding accountability for what has gone wrong with the WAGP. Since July 2009, when Petroleum and energy ministers Rilwan Lukman of Nigeria, Chakib Khelil of Algeria and Mohammed Abdullahi of Niger signed the agreement in Abuja, there has been a significant reduction in public discussion on the project which was proposed to have a capacity of 30 billion cubic metres per annum. “Nobody talks of Trans Saharan Gas Pipeline anymore” says a ranking official at the Nigerian state hydrocarbon company, the NNPC. “The project has been put on hold”. The Algerians, who seemed the keener partners in the first place, have gone rather quiet, and the Nigerians talk about it in terms of, “when we are able to get some interested parties who will foot the bill”. In the south west, Eskom’s enthusiasm for Namibian gas and/or of the power to be generated from the planned 800MW combined cycle plant at Oranjemund in Southern Namibia , that would be fueled by gas from the Kudu gas field, has waned. Discussions between Tullow Oil, the British operator of the Kudu field and Eskom didn’t get anywhere. “The Kudu Gas to Power Project in Namibia was not concluded due to the economics of the project”, Eskom said in a statement. “Electricity would have been produced at a cost well in excess of Eskom’s own options. In addition certain risk allocations (such as fuel price currency and indexation) could not be agreed between the fuel supplier, the project developer and Eskom”. In the meantime, however, some of the countries that were being describes as “energy-starved”, are turning round to be hydrocarbon rich. Ghana, for one, which is building a gas processing facility that will feed power plants and supply industrial parks. Just the other day, Apache encountered 52metres of net gas sand in a well in offshore Kenya. Companies have struck oil in Liberia and Sierra Leone. The headline news favour big ticket projects; Five million metric tonnes per year LNG trains aimed at the Chinese market. Long trans-border gas pipelines lain under the Mediterranean Sea, ferrying North African gas to Europe. But the projects that will kickstart Africa’s industrialization are less likely to feature humongous sized vessels transporting super-cooled natural gas from offshore Mozambique to China, than several, intra country pipelines taking methane from hydrocarbon rich villages to power plants, factories and homes in the continent’s rapidly growing cities. These projects are starting off all over the continent, more readily than they used to. After Ghana insisted to World Bank officials that it would not export its gas to pay its loans, the country took a couple of years to get a grip on developing the fuel for home use. Now the project is going forward. The concept: A 36km shallow water, dense phase gas pipeline will take one hundred and twenty million standard cubic feet of gas per day (120MMscf/d) of gas from the Jubilee Field production facility to a new, 150MMscf/d central processing facility at Atuabo (in Ghana’s Western region) to produce lean gas, propane, butane LPG and condensate. From here, a 120km onshore gas line will deliver the lean gas to a 550MW thermal power station at Aboadze, near Takoradi, while another 75km onshore line will transport more gas to the mining centre of Prestea. The plant at Atuabo is planned to be Ghana’s first gas hub, as gas from other discoveries, including those at Sankofa, Dzata, Tweneboa, North and South Tano fields, will be piped to Atuabo for processing. The cost is $850MM. Opportunities will open up to secondary distributors of gas, as well as industries that can take advantage of the fuel. Tanzania: State sponsors a big infrastructure leap. In July 2012, Tanzania signed a contract with three Chinese companies -China Petroleum Technology Development Corporation, Petroleum Pipeline Engineering Bureau and China Petroleum Pipeline Engineering Corporation to construct an 898 kilometre pipeline from Mtwara to Dar es Salaam and then round the bay(offshore). The project will cost $1.2 billion (or 1.86 trillion shillings). Anticipated project completion date is early to mid- 2014. The onshore segment involves a 36-inch line for 487 kilometres and a 24-inch line for 24 kilometres, connecting the mainland to the gas source on Somanga Fungu, a small island in the Indian Ocean. Officials say that the infrastructure will drastically reduce the cost of electricity generation from $0.42 (663 shillings) per to $0.02, almost 32 shillings. While everyone focuses on Anadarko’s proposed two train LNG project off the coast of Mozambique, a number of gas projects are taking off in this South east African country. ENH, the state hydrocarbon company, has initialed an agreement with South African synfuels giant Sasol, that will lead to having natural gas piped to homes in Maputo city and the neighbouring district of Marracuene. Since 2004, Sasol has commissioned and operated both a gas processing facility located in Temane in southern Mozambique, and a pipeline that takes the gas from the Pande and Temane fields to Sasol’s chemical plants in the South African city of Secunda. A branch of the pipeline goes to Matola where it supplies gas to several Mozambican industries, including the Mozal aluminium smelter. With the April 2012 agreement, Mozambican homes and smaller enterprises will begin to benefit. Some 100 institutions, including hospitals, hotels and restaurants will be the first beneficiaries of the pipeline. The programme is expected to capture all of Maputo and Marracuene within ten years. Sasol promises to make available to ENH, for domestic consumption, some 5.5Billion cubic feet of gas a year for a period of 20 years in an initial phase. The gas pipeline will run from Matola to Marracuene over a distance of 30 kilometres. It’s not clear how much each residence connected to the line will pay, but ENH says the $40MM project, funded by South Korea, will be implemented on the basis of social funding and subsidized, so that takers will be connected at a much lower price than the cost reflective price of $1,200.00. One project to watch is the Victoria Oil and Gas(VOG) operated Logbagba project in Douala, the main commercial city of Cameroon. It’s a very small project, with the initial phase completed in November 2011, delivering 0.7MMscf/d of gas to factories in the city. The project is on course to raise capacity to 8MMscf/d. The delivery helps companies to substitute heavy fuel oil and waste oil used in raising heat with natural gas, helps in power generation at customer sites and is used in centralized near site power generation with local distribution, in compliance with current electricity legislation and regulations, on industrial estates and at the Douala port. Essentially, what VOG is doing is a minuscule version of what Oando is doing in Lagos; delivering gas to factories, but Cameroon is a much smaller economy than Lagos and the fact that this is happening at all is key. Nigeria’s is the most ambitious. For all the debate about the pace, the efficiency, and the operating environment, the Nigerian state-led infrastructure programme for domestic gas is the most ambitious on the continent. True, the cost is not comparable with the outlays that Egypt and South Africa, the biggest economies in the neighbourhood, have invested over several years on keeping the lights on. But among the smaller economies, Nigeria is a local champion of sorts. Spending $2Billion at a go on a number of gas pipelines(See map) to connect gas wells to power plants, while a number of power plants are being built all over the Niger Delta basin, is noteworthy. Egypt has powered its economy with natural gas, providing the impetus for the near doubling of consumption over the last decade, to reach 1.6 Trillion cubic feet (Tcf) in 2010. Electricity consumption increased by an average of 7 percent per annum in the past 10 years, surging from nearly 61 billion kWh in 2000 to 116 billion kWh in 2009. In terms of electricity generation, conventional thermal electricity, which derives from traditional fossil fuels, accounts for nearly 90 percent of Egypt’s electricity generation, with the remainder mainly from hydroelectricity. The increased use of compressed natural gas as a fuel for motor vehicles and the conversion of some thermal power plant feedstock to gas have, to an extent, helped to ease the consumption of petroleum products.